Create a stylish and elegant atmosphere for your next indoor or outdoor event! 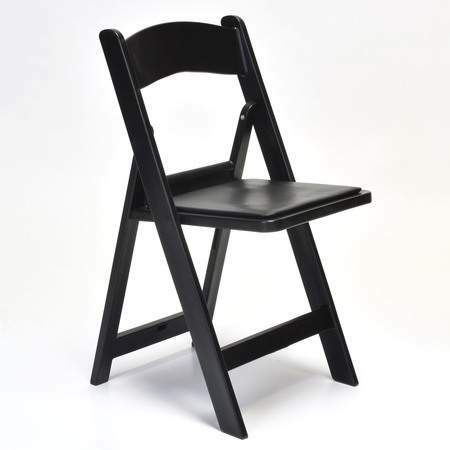 This chair is made to look like a wooden chair and your guests will be comfortable with the slightly padded seat. Also available in white.